If you have plans to bring a Theme Camp, or a Mutant Vehicle or Artwork to the dust, you might have plans for fundraiser events in support of your projects. We encourage you to fundraise – and get creative in finding ways to source the materials you need to do the thing you want to do – and we have some important information for you around this. First things first: PLEASE DON’T USE THE CLAN, OR THE DATE BADGE FROM OUR SITE, ON ANY PROMO MATERIAL. It can create the impression that your event event is organised by AfrikaBurn, which can be problematic. More than that, your events are an opportunity for you to develop your identity as a Theme Camp, Mutant Vehicle, Artwork or Performance. Use that to your advantage. Tempting as it may be to call your fundraiser an ‘AfrikaBurn’ event, please don’t. It’s a little misleading and so presents us with a chunk of potential problems including liability and certification issues. An official AfrikaBurn fundraiser event (such as our Decompression and Streetopia events) has to have proper Health & Safety plans in place, an event permit and a host of other legal requirements. Please note: the use of wording also applies to Decompression – as tempting as it might be to call your post-Tankwa event a ‘Decompression’, we do ask that you avoid using that name, as it also creates the impression that it might be the ‘official’ Decom – but if it’s not, it’s not. Feel free to mention AfrikaBurn in your Facebook group name and in your fundraiser promotion but please make sure that it is only in reference in a sentence. Your project or event name is the star here – make it the largest and most noticeable text. Something to consider when organising your fundraiser would be your venue – is it an inclusive space? Don’t forget that your fundraising event will be seen as an extension of AfrikaBurn, and its community – consider both location, and the nature of the venue, in terms of accessibility and inclusivity, and make the right choices with that in mind. It could make a big difference to the experience, and the number of people able to be at your event. Plan ahead, and make use of the whole year for fundraisers. Think about getting in there early, in the quieter months between burns when we’re all itching to plug back into that Tankwa Town feeling. In summer energy and enthusiasm run high: it’s a great time for fundraisers. Remember that in the lead-up to AfrikaBurn, there’s a lot happening every weekend – so if you plan an event at that time, you stand a fair chance of being drowned out by the many others that are happening. Think about your dates carefully, and try not to compete with any major events that might be aiming for the same crew you’re hoping to attract. You’ll want to get the word out as soon as possible and spread it as far as possible, and we have the tools to help you do that. Our newsletter, Facebook page, and Twitter account are all great methods of spreading the word and they are at your disposal for fundraisers. Head to the Baardskeerder’s submission page to send info in for our newsletter. Include a brief write-up exactly as you’d like it to be printed, including all the important detail. You’d be surprised how many people send info without dates and venues! Don’t forget to include the project name, date, venue, price, theme, etc. If you have made a Facebook group page and or event page, include the link for that too. Your announcement will be included in the next newsletter – usually within two weeks. You’re welcome to post your event info on our main page – and event pages – on Facebook. There are also numerous other pages and groups out there which would be useful to broaden your exposure – use them! 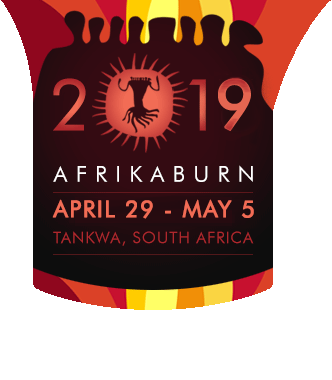 You can find a handy list of many of the AfrikaBurn-related pages and groups on social media on our Community Links page. Follow @AfrikaBurn, and #tag us, and we’ll be able to pick up on the content. One word about asking our Communications crew to punt your event: whilst they’re happy to help from June to December (which is our annual ‘quiet’ period as far as communications about our main event goes), it’s not possible to promote your event from January until the end of May, as our channels need to be kept clear for important announcements. Good luck with your fundraising! Get creative, and think out of the box – there are loads of ways to raise funds. You’re resourceful – make it happen!